2016 & 2017 2A OCSAA State Champions! The Wright Christian Academy Football Program is in its 7th year this season. The first six seasons have provided growth and excitement among the WCA community. The high school football team is a member of the Heartland Christian Athletic Association. The football team has made it to the playoffs five times in the last six years and they have won the 2016 and 2017 2A OCSAA Championships. The high school team averages 9-10 regular season games with an opportunity to participate in the HCAA playoffs. 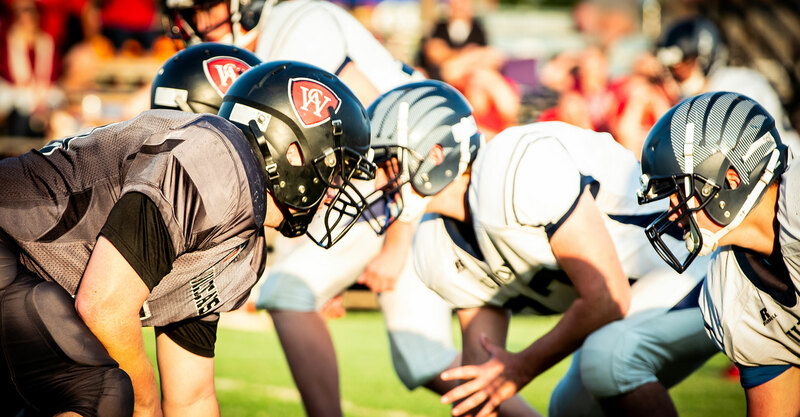 The football program competes on an 8-man size field located on the campus of Wright Christian Academy.